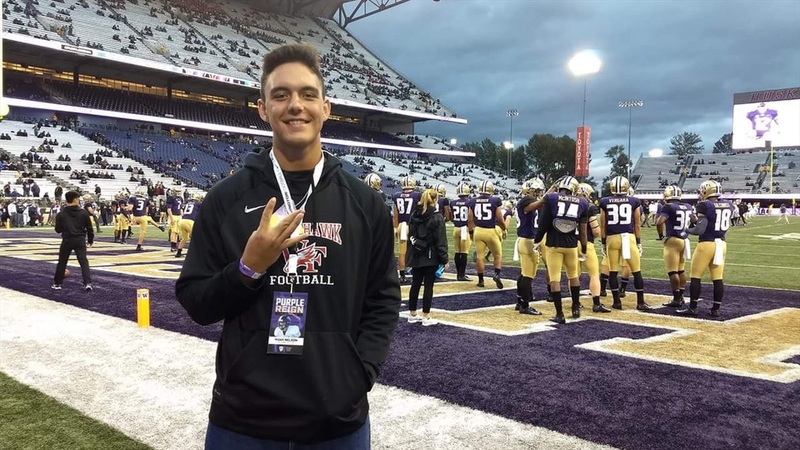 Noah Nelson‍ used his spring break to check out some colleges and Notre Dame was one of the for the 2020 Arizona offensive lineman. “I went to Oklahoma the first week and then I went to Northwestern, Purdue, Notre Dame and Michigan,” the 6-foot-7, 290-pounder said. He liked his stop in South Bend. “It was pretty good,” he said. “I enjoyed checking everything out and meeting the coaching staff. The Gilbert, Ariz., native spent a lot of time with Irish offensive line coach Jeff Quinn. The Williams Field High School standout also had a chance to learn about the education in South Bend. “They talked all about the different academic opportunities Notre Dame has to offer and how prestigious they were,” he said. He doesn’t have any other visits locked in at this point. He does know what he’s looking for in a school.